Binance uses the ERC 20 token standard from Ethereum. BNB should be distributed as follows. 50% of the coins are sold in an ICO, 40% go to the team and 10% to Angel investors. Angel investors are investors who buy a particularly large number of coins at once. The coin can be used to pay fees on Binance exchange. These include trading fees, transaction fees, listing fees and others. What are the benefits of Binance Coin? You can use BNB to pay your fees on the Binance exchange. 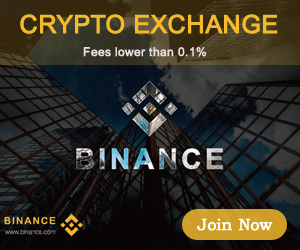 While you can still choose to pay your fees in the cryptocurrency you’re exchanging, Binance offers a rebate as an incentive to pay fees in BNB. In your first year of membership on Binance, fees are discounted 50% when paid in BNB. With every subsequent year of membership, the fee discount decreases. 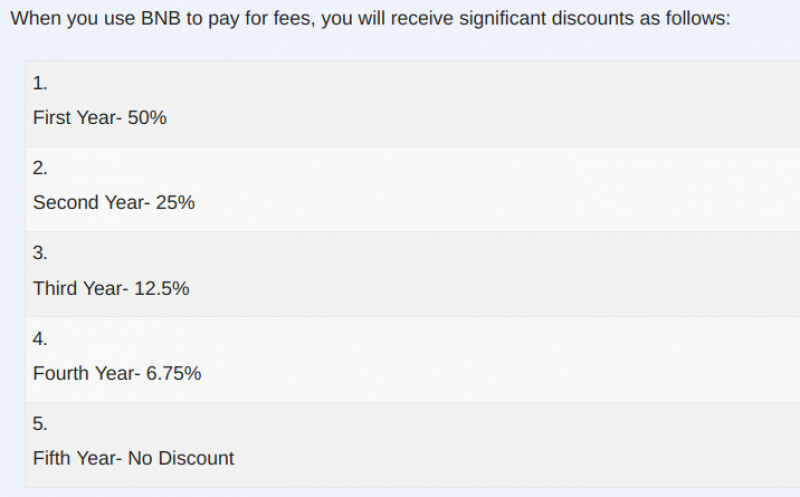 By your fifth year using Binance, there is no longer a fee discount for paying in BNB. 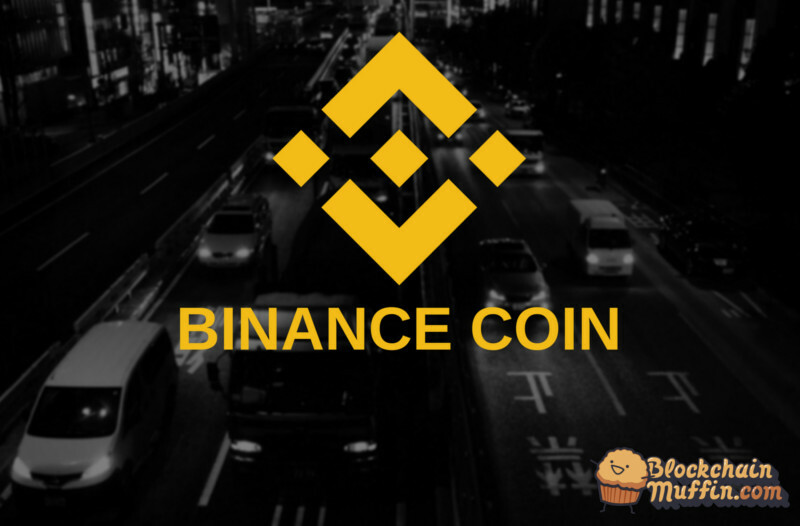 Binance uses the BNB token to collect various fees levied for using the platform, such as trading, withdrawing, listing, etc. It presents an attractive fee model to users. As of August 2018, the platform charges a trading fee of 0.1% on each trade, but if users pay fees in BNB, they can claim an additional discount on the trading fees. The exchange has predetermined discount rates on a yearly basis, starting from the launch year of the exchange. Refer to the table below for more detailed information on discount rates. How to buy and store Binance Coin? BNB cannot be obtained via BNB mining, since all tokens were pre-mined by Binance at its inception. Users who wish to possess BNB can acquire it by exchanging on a cryptocurrency exchange. Altcoins have really suffered in the 2018 bear market. 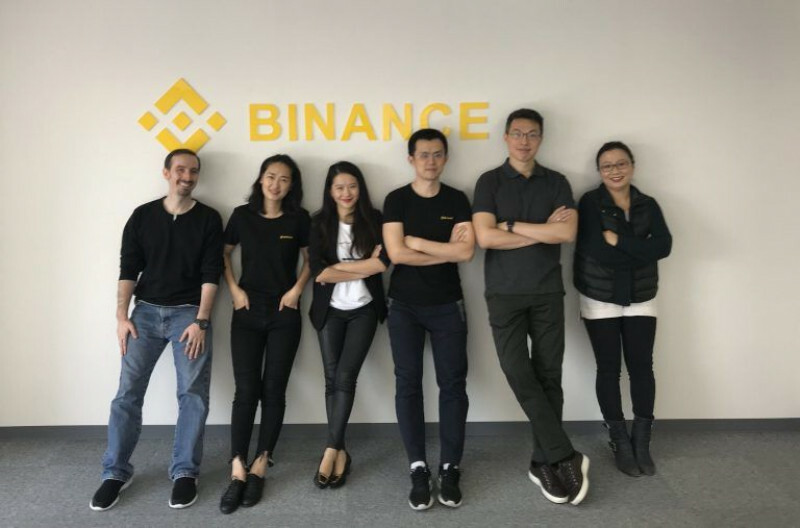 Fortunately, Binance has a good business model which incentivizes traders to continue using BNB to pay for their trading fees. This has largely kept the price up as traders hold BNB instead of dollars. BNB initially traded around $0.10 before rapidly shooting up to $2.80 in 2017. At the height of the mania in 2017, it traded as high as $24. It currently trades around $4.60 which highlights the depreciation of the overall altcoin market. Nevertheless, if you had bought when it was first launched you would still be in pretty good shape.